North Harbour Ford has opened its new state-of-the-art Service Centre at 31-39 Hillside Road, Wairau Valley. The new centre has increased North Harbour Ford's service capacity by more than 50%. 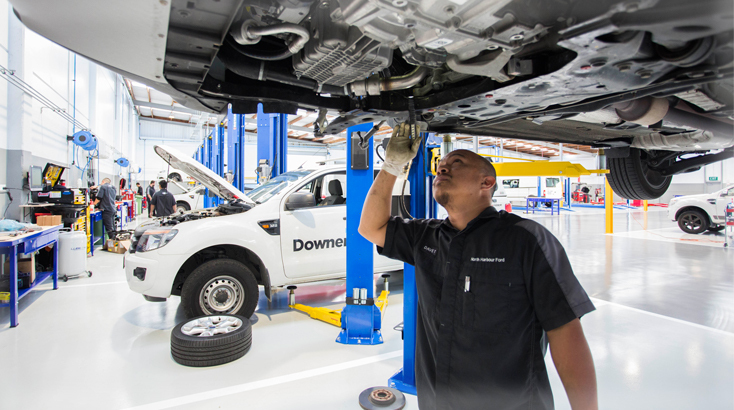 It is now New Zealand's largest servicing centre, boasting 20 hoists and room for more than 20 technicians and apprentices. 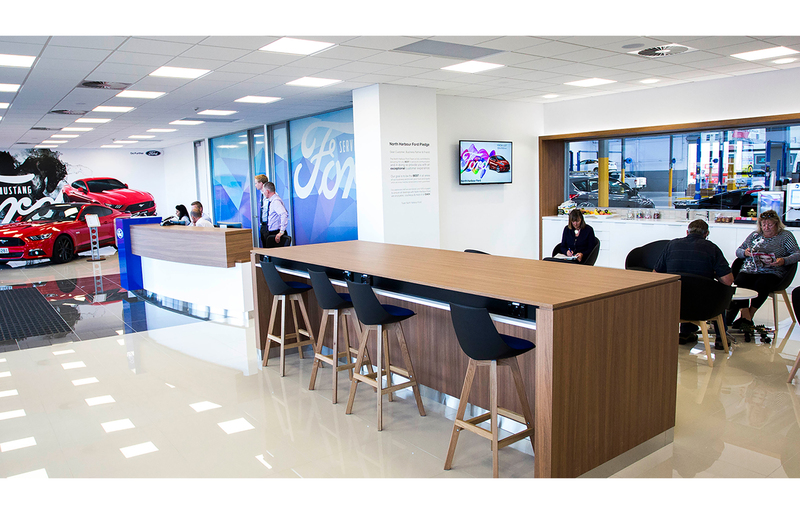 The 2,000m2 facility has been custom-built to the new Ford CI (global corporate image), ensuring the highest possible standards of customer service and experience are met and maintained across all areas of the business. On arrival at the new centre, visitors have access to plentiful parking and are met by an inviting customer service area, with ample space for four service advisors and a generously sized customer waiting lounge. The waiting lounge has all the essentials including a top-of-the-range coffee machine and daily deliveries of fresh scones and muffins. Multi-functional workspaces are available for customers' use while visiting the centre, ensuring their wait is one of comfort and purpose. A Particularly striking feature in the customer lounge is the large window looking into the workshop. This gives customers a unique insight into the servicing process as it provides an opportunity to view the usual behind-the-scenes activity and watch technicians at work. Customers have been so impressed with the new standard set by Hillside, some have even referred to it as the "Koru Club of service centres".